Home » Blogs » Her Bipolar Life » Is Medical Cannabis An Option for Bipolar Patients? Is Medical Cannabis An Option for Bipolar Patients? An MSN article published last week claims that marijuana improves cognitive functioning in patients with bipolar disorder. New research reveals that cannabis use among patients with bipolar I disorder showed improvement in areas such as processing speed, attention, and working memory. Marijuana use was also shown to make patients less likely to comply with their traditional treatment regimen. Researchers interviewed for the article recommended developing a treatment that mimics the effects of cannabis. 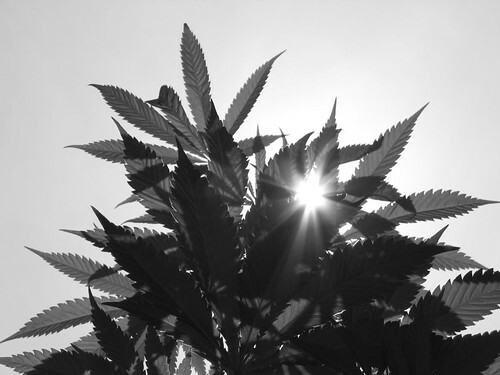 What do bipolar consumers think about the use of medical marijuana for their treatment? Does this fall in line with society’s opinion? Is medical marijuana a viable option for the bipolar community, whether it is used in place of medical or as a supplement to a traditional medication regimen? In an age where alternative and supplemental treatments for medical conditions are embraced, it still remains to be seen whether cannabis therapy for bipolar disorder will be widely accepted—whether that is by the masses and/or by the medical community is still unknown. A 2012 Rasmussen poll found that 56 percent of U.S. voters favored legalizing and regulating marijuana in a way similar to tobacco cigarettes. Consumer blogs like Patients for Medical Cannabis hail marijuana as a complete replacement for anti-depressants. Uncomfortable side effects and losing capacity for emotion are cited as reasons to forego pills in favor of pot. Despite scant literature on the impacts of current cannabinoid profiles on mental health, there is much concern that high-THC cannabis can worsen mental health conditions. Individuals with bipolar disorder are found to be 6.8 times more likely to report a lifetime history of cannabis use than controls. In states like California, medical marijuana is prescribed for a wide range of psychiatric disorders, including bipolar, PTSD, ADHD, OCD, chronic anxiety, and depression. In Being Bipolar’s Supporting Marijuana Legalization Survey, over 96% of respondents have reported that they do indeed support marijuana legalization. That certainly doesn’t mean all of these people would actually use medical marijuana. However, the conviction that cannabis has healing properties is quite popular. There seems to be some sort of disconnect—while cannabis users with bipolar disorder often report benefits, the medical community has warned of its use for a very long time. Is there a perpetuated, ingrained stigma and automatic contempt that drives the negative opinion of medical cannabis use, or will this be the true result in continued research trials? Do you accept medical marijuana as a treatment for bipolar disorder? What makes you say yes or no? Do you think researchers should invest money into investigating the benefits of cannabis on mental illness? Do you think traditional medication therapy is enough? AM: Women with bi polar can be very dangerous.